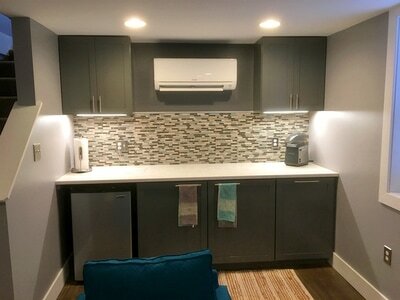 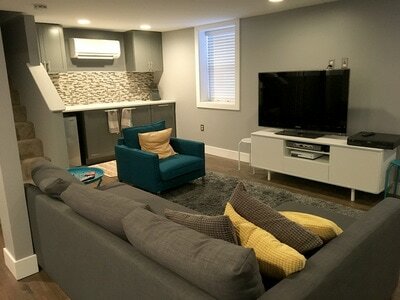 Silver Spring Basement - Daniel Krienbuehl Contractors Inc. 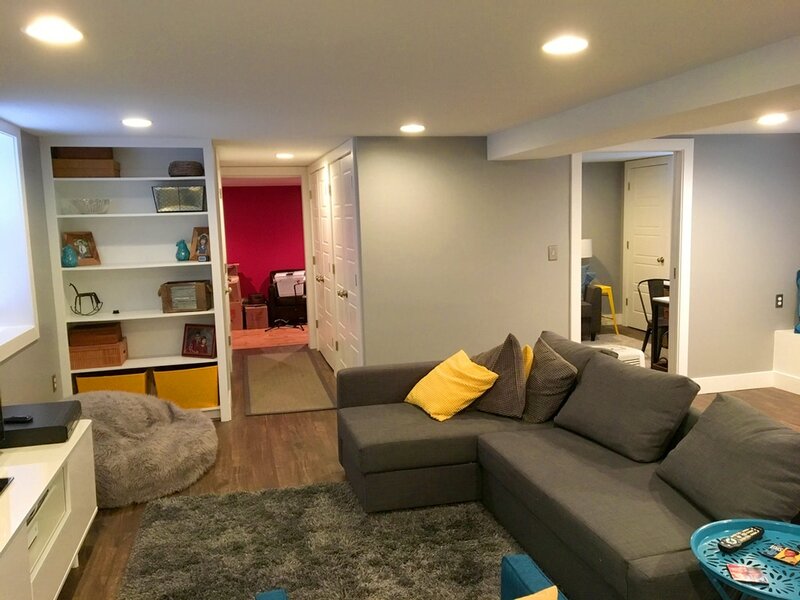 Most houses in this part of Silver Spring are small one-story bungalows with a basement. 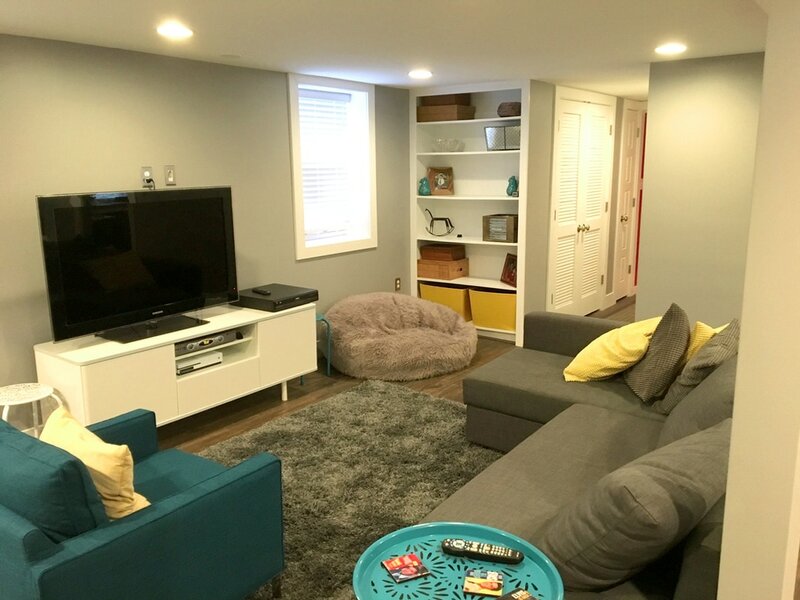 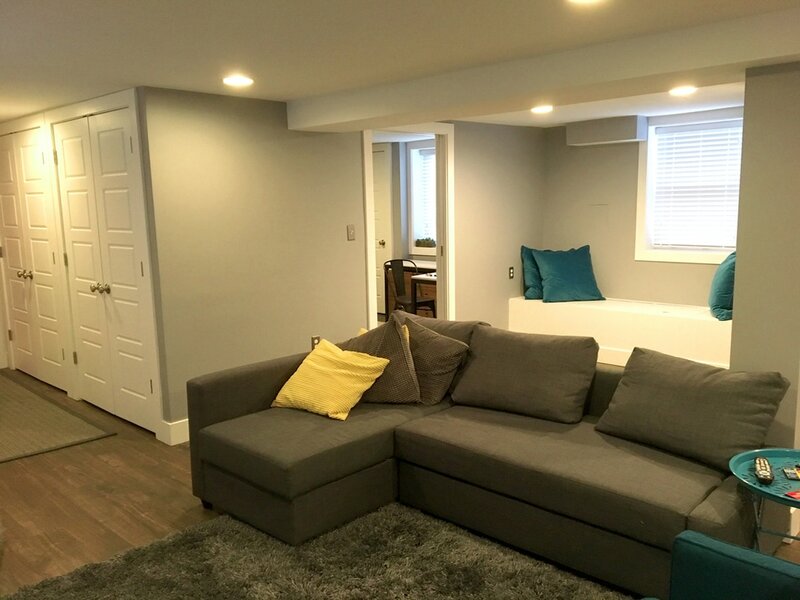 The original layout of this basement was not utilizing its space efficiently. 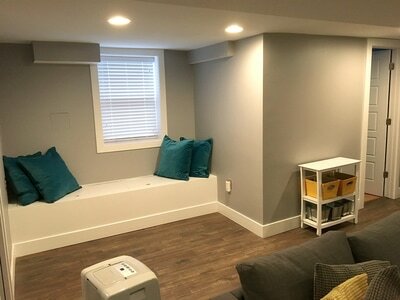 The new basement design now includes a stackable washer dryer, more closet storage space, a bedroom/office, and a music room. The main area of the basement is outfitted with a kitchenette, a window seat, and a seating area.